$1000.00 Per person for just attending! 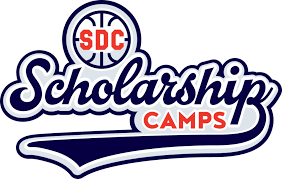 NEXT Next Level 24 Basketball SDC Scholarship Camp coming up!... Players that have been attending these scholarship camps have been having a blast, while improving at basketball and receiving a guaranteed $1,000.00 merit college scholarships! YOUTH basketball players and their parents can receive GUARANTEED college scholarships valued at up to $24,000.00 before they even begin high school! High school freshmen can earn up to $8,000.00 and sophomores can earn up to $4,000.00. OUR SCHOLARSHIPS HAVE NOTHING TO DO WITH ATHLETICS, ACADEMICS OR A FAMILY'S FINANCIAL STATUS. This means that our scholarships represent the GUARANTEED MINIMUM that the student-athlete will ever receive. There has never been a youth basketball program like this, EVER!! Every Next Level 24 Basketball SCHOLARSHIP CAMP! ...You receive a guaranteed college scholarship you can use at schools all over the country!